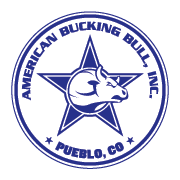 First let us here at ABBI say thank you to all of our hard-working breeders that support our mission and the legacy of the American Bucking Bull breed. We know you wouldn’t be a supportive member if you didn’t love our sport and this species the way you do. Thank you for supporting our mission of raising the bar through the continued registration of rodeo stock genetics. Here at ABBI, we believe that genetics are important and that our future rests in genetic preservation.